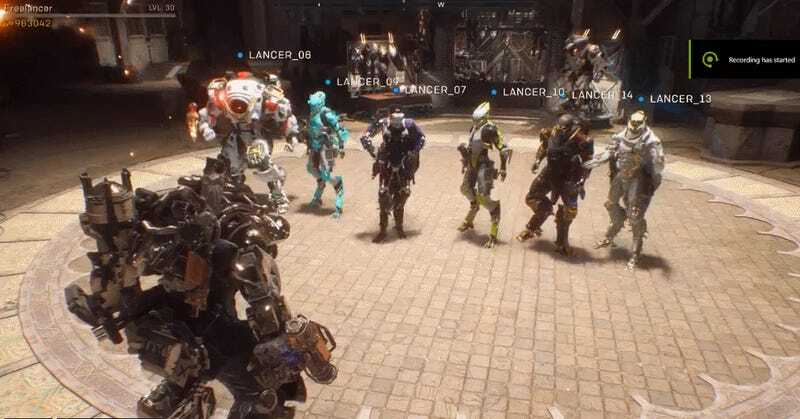 Anthem, BioWare’s upcoming online loot shooter, is only a month out from release and is already changing based on player feedback. The game’s lead producer, Michael Gamble, announced on Twitter yesterday that, following feedback gathered from alpha test players in recent weeks, the game will be getting a social hub. So far the Launch Bay looks pretty small and barebones, but by giving up to 16 players a place to chill between missions and show off their custom mech suits, it certainly looks like an improvement over just talking with teammates over voice chat. Social hubs have been around in traditional MMOs for years but aren’t necessarily standard for online multiplayers games. It was a big deal for players when Warframe got its first major social hub called the Plains of Eidolon back in October of 2017, four years after the game had launched. Fallout 76, another quasi-MMO, still doesn’t have a social hub, much to the dismay of its remaining fans. As a result, there’s no dedicated, non-PVP spot on the map where players can meet with one another and trade, and no clear signs yet of if one might get added. 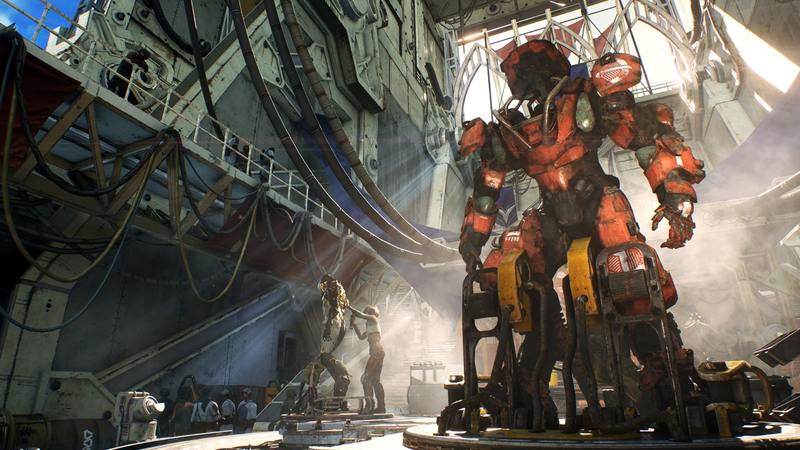 While not on the scale of Destiny’s Tower or Warframe’s Plains of Eidolon, Anthem’s Launch Bay is a nice start. It shows BioWare is taking the continuously evolving nature of always-online games seriously. While it won’t be available in the VIP demo starting January 25, Gamble said Launch Bay will be live when the game releases on February 22.